CINCINNATI, OH (FOX19) - All lanes of Columbia Parkway between Kemper Lane and Torrence have reopened to traffic. 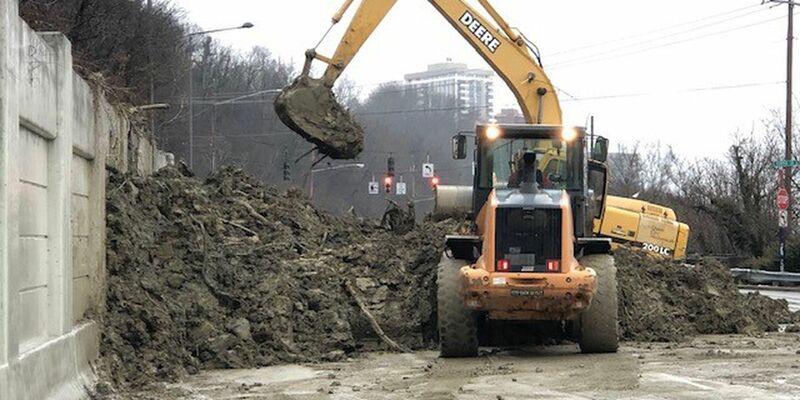 Road crews were able to remove all landslide debris and reopened the roadway at 2 p.m.
Cincinnati City Council voted unanimously on Wednesday to declare the situation on Columbia Parkway an emergency. The main east-west thoroughfare that connects Downtown with the eastern side of the city and Hamilton County has seen landslide after landslide this year. The road is at least partially shut a few times a week so crews can clear debris from the road. Vice Mayor Christopher Smitherman introduced the motion declaring an emergency over the road last week, fearing rain could lead to more landslides that will have a devastating impact on homeowners in the area and drivers. Building a new, higher retaining wall to replace the one holding back the hill and protecting the road that is “failing” will cost about $10 million, City Manager Patrick Duhaney wrote in a recent memo to Council. It’s not clear when work might start or who will pay for it all. The city also may look into whether they can receive federal funds. On Wednesday, Ohio Gov. Mike DeWine declared a state of emergency in 37 counties including Hamilton County over road damage. A man was killed in a single-vehicle accident on northbound I-75 Wednesday morning.